eWalk is the classroom observation software that transforms time-consuming classroom walkthroughs into an effective 5-minute process, start to finish. Watch this principal explain the difference that eWalk made at his school. eWalk classroom observation software not only makes your classroom walkthroughs faster, it also makes getting meaningful feedback to teachers convenient. The result? You will spend less time gathering and organizing data and more time coaching and empowering teachers with meaningful, actionable insights. Saving time with tools for easy search and quick discovery of your staff’s strongest and weakest points. Pinpointing specific instructional practices that need improvement after a single observation, thanks to a detailed, flexible reporting system. This allows you to give effective, constructive feedback that empowers teachers and staff to grow professionally and better serve the students. Organizing and standardizing your school’s/district’s teacher assessment and growth system with automatically aggregated data that lets you easily access, filter, and view individual walkthroughs. Scoring all observations based on uniformed criteria and storing the data in one program so you can avoid duplicate evaluations. 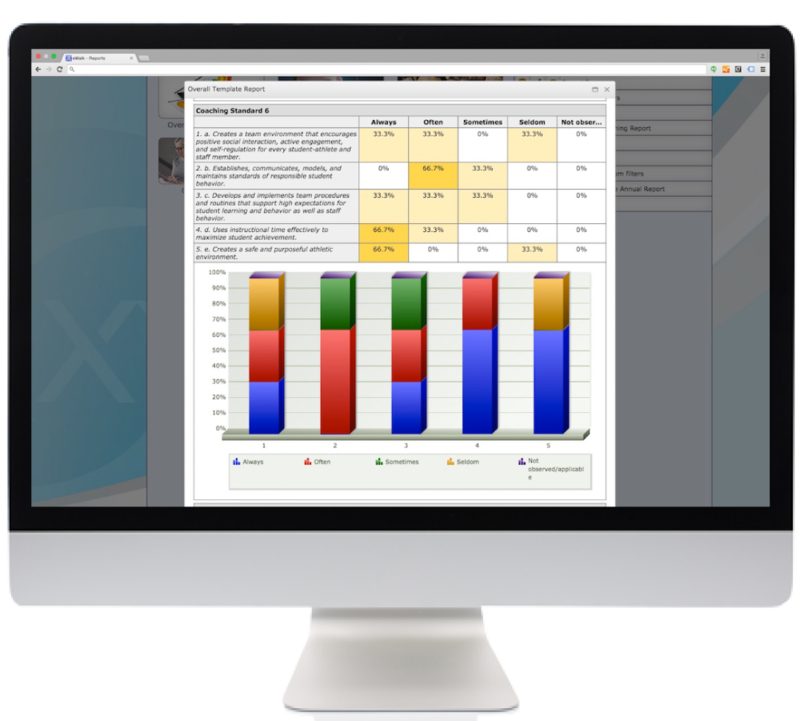 Customizing observations of teachers, staff, and curriculum based on your specific assessment needs with the most in-depth template authoring system available on the market today. This includes a configurable rubric system that automatically calculates scores without exporting to a third-party tool. Easily adding video evidence to your observations with the iCoach add-on for a clearer discussion process. Conveniently working offline within the eWalk classroom walkthrough app for in-class observation sessions. We’ve designed eWalk to make a real, positive impact not only on the way you observe and provide feedback to your teachers and staff, but also on the way your teachers, staff, and students perform as a result.